← የባንክ ዘረፋ በ21ኛው ክፍለ-ዘመን! እንዴት ነበር? አሁንስ ምን መሆን አለበት? አሁን ያለው የኢትዮጵያና ኤርትራ ግኑኝነት፡ ዝምድና ሊሆንስ ይቅር፡ ሰላማዊ ጉርብትና ነው ብሎ ለማለት እንኳን አያስደፍርም፡፡ የዚህ ሁኔታ አመጣጥና ታሪክ ሁላችን የምናውቀው ነውና ጊዜ ልናጠፋበት አያስፈልግም፡፡ ይልቁንስ መመርመር ያለብን ይህ አሳዛኝ ወይም የማይገባ ሁኔታ እንዲደርስ እና አሁንም እንዲቀጥል ምሁራኖቹ ምን ሚና ተጫወቱ? ምን አሰተዋጽኦ አደረጉ? ይህንን አስተዋጽኦ ለማድረግ ያበቁዋቸው ድክመቶችስ ምን ናቸው? የሚሉትን ጥያቄዎች ነው፡፡ ነገሩን በግልጽ ለማስቀመጥ፡ በኤርትራ ለነጻነት ወይም ለመገንጠል ጦርነት ይካሄድ በነበረበት ጊዜ ምሁራኖቹ ምን ሚና ነበራቸው? ኤርትራ ከተገነጠለች በሁዋላስ ሁኔታው ሲባባስ ምን ሚና ነበራቸው? አንዳንዱ ምሁር፡ ኢትዮጵያዊም ኤርትራዊም፡ በሞራል ሲቀዘቅዝ፡ አንዳንዱም ሲወድቅ አስተውያለሁ፡፡ ለኔ እንደሚመስለኝ የሞራል ውድቀት የሚመጣው ብዙውን ጊዜ ችግሮቹን – ታሪካቸውን ጭምር – ካለመረዳትና ስለመፍትሄው በጥናት ላይ የተመሰረተ ራዕይ ካለመኖር ነው፡፡ ስለዚህ አስቀድመው የተጠቀሱትንና ሌሎችን ድክመቶች አርመውና አስወግደው፡ ከላይ የተነሱትን ጥያቄዎችና ጉዳዮች በሚገባ አጥንተው፡ መፍትሄን በተመለከተ ብሩህ ራዕይ ገንብተው፡ ያንን ራዕይ ለመተግበር ደግሞ ሰትራተጂና ስልት በንቃትና በጥንቃቄ ሲቀይሱ መተማመኑ – ኦፕቲሚዝም – ያጋግማል፤ እያደረም ይጠነክራል፣ ያድጋል፡፡ ብዙዎቻችን ታሪካችን በብዙ ጐኖቹ ትብብራችንን ይፈቅዳል፣ የዓለም ሁኔታ ይህንኑ ያስገድዳል፣ ህዝቦቻችን ደግሞ ወንድማማችነታቸውን በተግባር አስመስክረዋል ብለን እናምናለን፡፡ እንዲህ ከሆነ ታዲያ የሁለቱ ሃገሮች ሁለ-ገብ ዝምድና ተግባራዊነት ያለው ራዕይ መሆኑ ልንጠራጠር ይገባል? – Bahru Zewde, “The Intellectual and the State in Twentieth Century Ethiopia”, in Harold G. Marcus (ed. 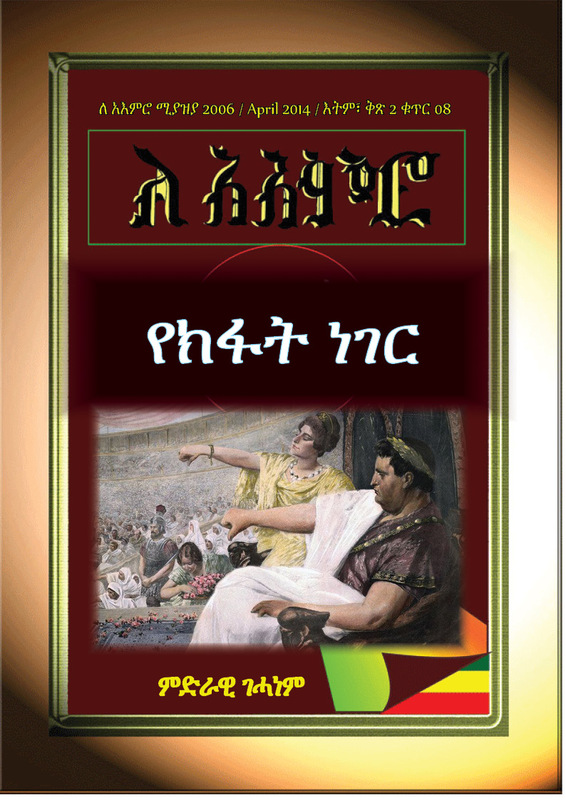 ), New Trends in Ethiopian Studies (Papers of the 12th International Conference of Ethiopian Studies) (Lawrenceville, NJ: The Red Sea Press, 1994). 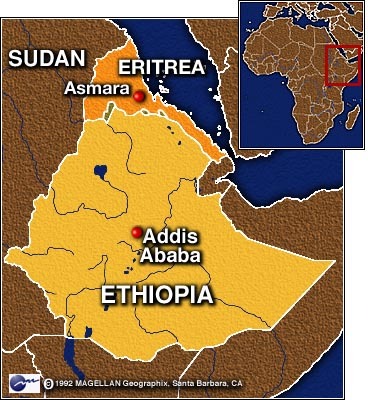 – Daniel Kendie, The Five Dimensions of the Eritrean Conflict 1941-2004: Deciphering the Geo-Political Puzzle (Gaithersburg, MD: Signature Book Printing, Inc. 2005). This entry was posted in ማህበራዊና ፖለቲካ /Social & political, ባህላዊና ማህበራዊ /Cultural & social, ታሪክና ባህል, ነፃ አስተያየት/Free Opinions and tagged Culture, Eritrea, Ethiopia, Ethiopia Unity History class ethnic, Ethiopian politics, Self-determination. Bookmark the permalink.